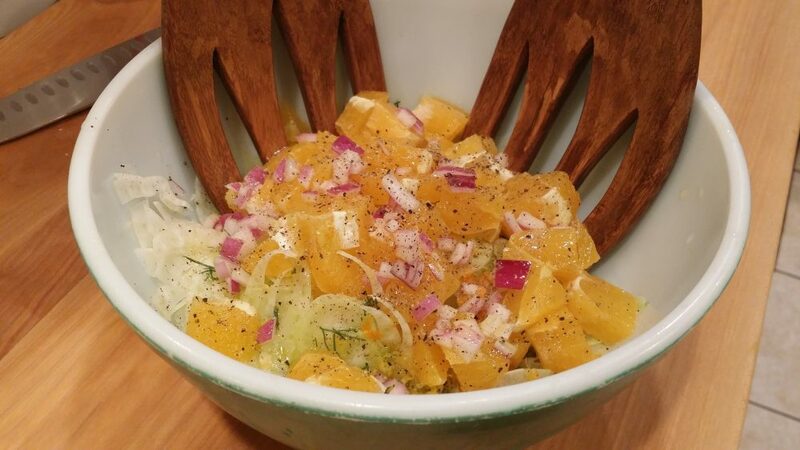 Juicy Refreshing Fennel Orange Salad – Ready to dive in. I wrote recently that mom’s backyard is turning into an organic citrus orchard. 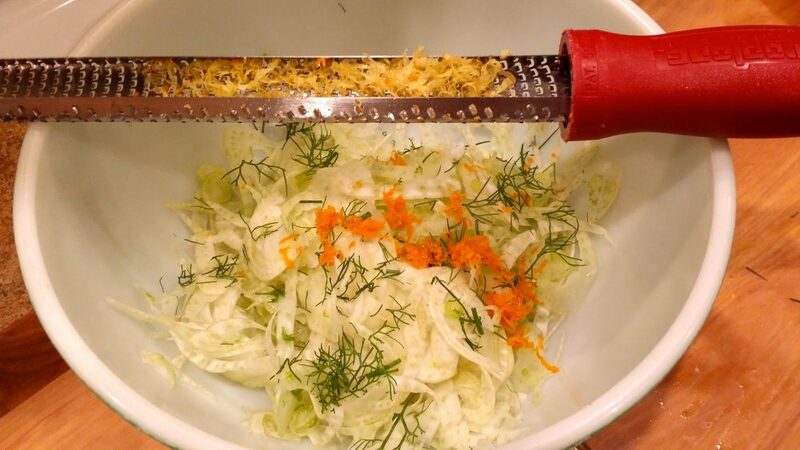 I also mentioned that one of the things I make from the barrels of citrus she gives me is Fennel Orange Salad. 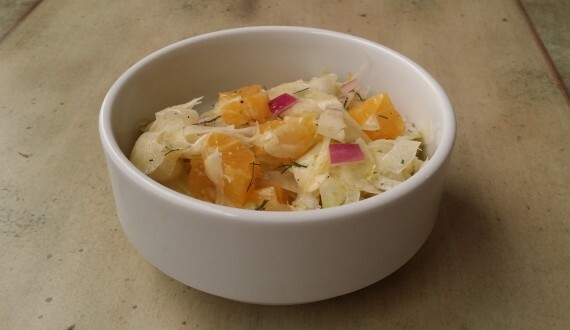 I decided that name didn’t do the dish justice, so I changed it to Juicy Refreshing Fennel Orange Salad. It’s quickly become a favorite of ours, including Kamea’s. 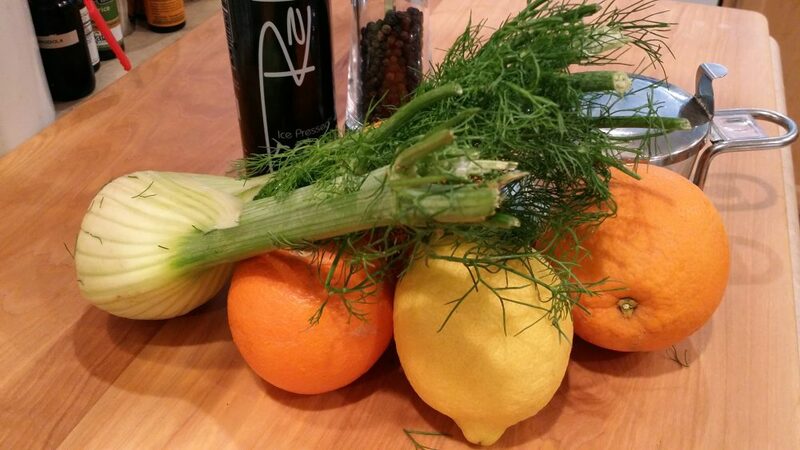 It offers a delightful brightness to a dreary winter with the seasonal citrus and the fabulous fennel. It’s sweet with oranges and savory with little bites of red onion. 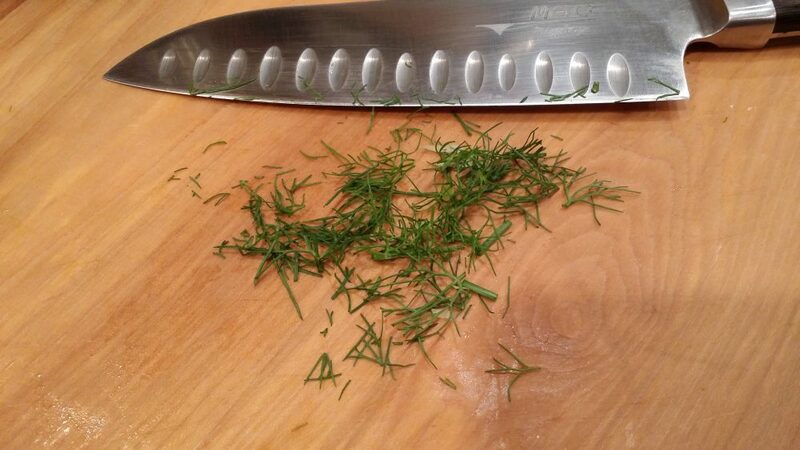 It’s a salad you should definitely make. It’s really simple: basically, put everything in a bowl and stir. Be creative in the amounts of the ingredients. 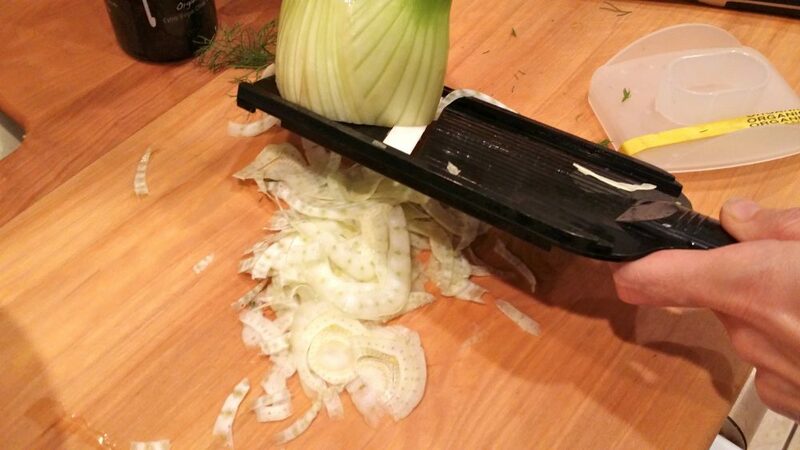 It’ll turn out delicious no matter what you do. This made about three servings. Here are some pictures to inspire and put it all together. 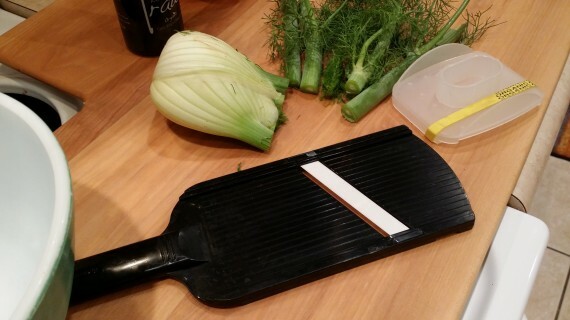 Use a handheld mandoline (v-slicer) to carefully slice the fennel thinly. Don’t forget the fennel frond for extra fennel-ness and a splash of vibrant color. Put it in a bowl. 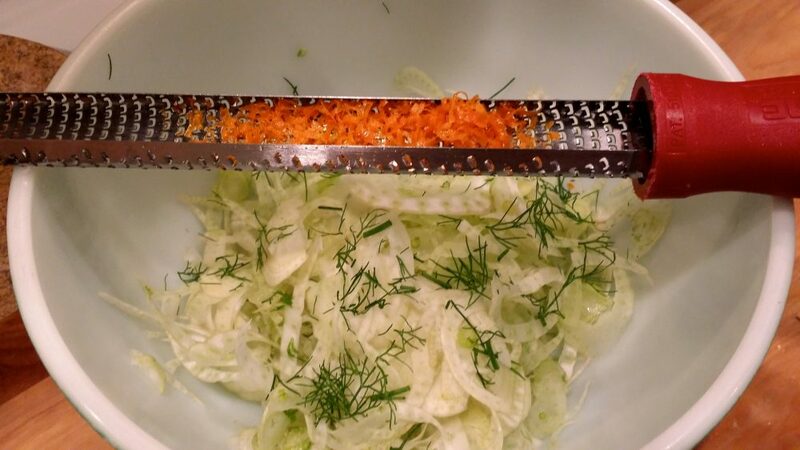 Add some orange zest – whatever amount you want. It adds a boost of bright flavor, color, and nutrition. Lemon zest’s turn. Every kitchen needs a zester. Add the oranges, red onion, olive oil (light or heavy drizzle, s’up to you), citrus juices, sea salt and freshly ground black pepper (here’s my favorite pepper mill). Ready to toss. Everyone’s accounted for. Extra credit if you let it marinate for up to an hour (in the fridge, if you like it a bit chillier) before consumption.